Think about Chelsea defenders who are good at passing, and of course your mind turns straight to David Luiz. His usual partner this season, Antonio Rudiger, has also shown some impressive technique, especially when the Brazilian doesn’t play. But last night it was someone else entirely who was impressing with his raking crossfield balls. 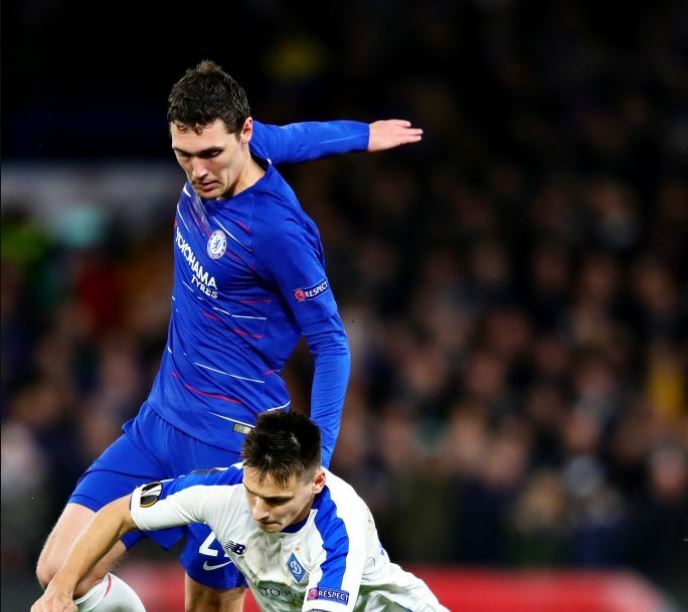 Andreas Christensen is a tidy player on the ball, that’s been clear since the day he stepped out from the academy. But last night against a very deep Dinamo Kiev team, he played more long passes than usual. The Dane hit 7 long balls according to WhoScored, more than anyone except Rudiger, and completed 6 of them. To reinforce the point about his efficiency on the ground, AC also had a pass completion rate of 96.3%, the highest of any starter on the team. That’s an impressive rate, showing that the 22 year old knows when to play those long balls too. As always, it’s a question of timing rather than technique when you’re talking about top players, most of whom can hit accurate cross-field passes.